Get started on InMotion Hosting now. Interested in hosting Java web applications and just need a resource-capable server to handle it? Well, after comparing the best Java hosting providers, their server specs, and their pricing models, our programming experts made a table summarizing our findings. See the best services for hosting Java applications and websites below. Looking for something other than java hosting? Need some help? Find everything you need to know about Java hosting before making a decision below. The use of Java for web-based applications is growing in popularity every year. The language itself, with its roots in application development, is mature, fast, very well-supported, and simple to deploy. These days, many hosts include packages that have containers for Java servlets already installed on the server with enough processing power to run Java extremely well. Getting started with hosting a Java application is also easy and can be done in a matter of minutes. In this guide, we break down what Java hosting is, how it is used, what you will need, our experts’ favorite features, and the cost of hosting Java-based applications. 1. What Is Java Web Hosting? 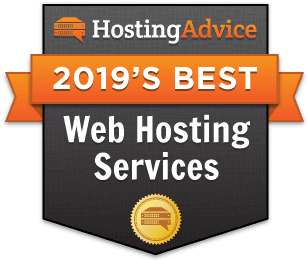 “Java-based web hosting” just means that the server you’re leasing from your web host has both your Java web server and Java servlet installed. While the web server is serving up webpages and dynamic content, the servlet is extending the capabilities of the server by mapping requests to your domains and directories. A servlet is a Java API used to create dynamic web content. It’s essentially an extension of the Java server that enhances its capabilities. Apache offers free implementations of the software (Tomcat), which come highly recommended by our dev team. The ability to install Java servlets on your host server is an important pull factor in choosing a Java host, so our team weighted this feature heavily in our Java hosting reviews. While Java servlets are pre-compiled programs ready to serve up dynamic, Java-based, user-oriented content, JSP is a scripting language that allows you to generate said content from scratch. JSP stands for JavaServer Pages or Java Servlet Pages. Many developers prefer coding in JSP due to its ease of use, but Java servlets tend to yield greater performance and speed from your application compared to JSP. Another optional extension of the Java platform is what’s called JavaServer Faces, or JSF. This is a Model View Controller (MVC) framework that can be used on top of your Java servlet API and with any Java view technology, like JSP or Facelets. With JavaServer Faces, you can more easily create custom components of your code. 2. What’s It Used For? Java is particularly popular in the open-source community for generating dynamic, user-oriented content for websites or web-based applications. Simply put, there are three components that make up a Java hosting environment: a Java servlet container, an application server, and the server(s) with the former two ingredients installed. Depending on what software and hardware you choose, there are several ways of configuring your Java application’s home. So, what type of server should be in your hosting shopping cart? A vast majority of shared hosting providers won’t even offer Java-enabled hosting, so that decision is pretty much made for you. Java applications tend to require a hefty amount of resources. That being said, they almost always require hosting by a dedicated server or VPS. What makes ordinary hosting Java-specific is the presence of a servlet container. Apache makes implementations of the popular and well-reputed Java servlet, Tomcat, available for use for absolutely free. Tomcat is open-source, as are Weblogic and Websphere. Among the most well-known commercial software implementations is Resin, which is owned by a company called BEA Systems, Inc.
It’s important to note that Tomcat and Resin are Java servlet containers, whereas Websphere and Weblogic are complete Java EE servers. What’s the difference, you ask? Java ServerPages (JSP), Java ServerFaces (JSF), and servlets are all technologies that play a part in the Java EE (Enterprise Edition) Web Application model. The three aforementioned software classes will assist developers in creating web pages. For example, Tomcat and Resin are two popular Java servlets, which full-fledged JEE containers can use to facilitate requests. As you can imagine by now, a lot goes into proper and performant Java web hosting. From compatibility with the most popular software to price, performance, and reliability, we went over the features of our top recommended Java hosts with a fine-toothed comb. Below we cover what we look for in the best Java hosting providers. You’ll notice compatibility with popular software implementations like Tomcat or JSP is held in high regard in our reviews. Ideally, hosts would have Tomcat pre-installed, with forums available for Java JDK installation. Java hosting shoppers want to know that implementing the servlet they wish to work with — whatever that choice may be — is possible and easy to do with their host. Some hosts only allow Java-enabled hosting on certain servers in their collection, so we strive to note that in our reviews. Last note on software simplicity: When it comes to operating systems for Java, Linux is typically king. We factor in what OS versions are available, as well as whether other management tools, such as cPanel and WHM, are included. In order to keep your Java-based web application online, running quickly, and functioning properly, you’re going to need a powerful server. Usually, a VPS or your own dedicated server is a requirement for hosting a Java application, and you’ll want to shoot for having at least 512 megabytes of RAM at your disposal. Uptime! This is a huge factor for any serious hosting customer, but it’s of particular significance here. Typically, we’d say five nines (99.999%) or better should be what your aim, with 99.99% being a minimum requirement for Java hosting. Suffice it to say, cheap Java hosting is hard to come by. More resources, plus higher-end functionality, equals a steeper price point. Still, the best Java hosting providers will typically offer a Java-enabled VPS in the $15-$20 range. Obviously, if you opt for a dedicated server, the price is going to increase, as will the number of on-demand resources, power, performance, reliability…. The list goes on. Can I Get Cheap Java Hosting? Sure! Especially with VPS options, you’ll find that Java hosting can be had for as little as $15 a month. Granted, that’s no $2-hosting deal, but remember, you’re getting a boatload of RAM, probably endless bandwidth, instant resources, and screaming fast uptime. You get what you pay for, and with our top providers, that’s a lot. What About Free Java Hosting? As with any other hosting niche, there’s always a plethora of sites out there touting free java hosting. However, keep in mind that what comes “free” comes with major limitations. In the case of free Java hosting providers, those limits might be startup timeouts, dated Java versions, not getting to select your server version, a lack of support, and even security issues. That’s why we would highly recommend you find the $15 a month it would take to host with one of the Java-based hosts atop this page. The features, performance, security, and support you’ll receive are well worth the small cost. Renowned in the programming realm, the Java language comes highly recommended by many application developers. Like us, they love it for its rock-solid support, simple deployment, and the fact that it’s relatively easy to learn compared to other scripting languages. Now that you know all that we look for in the top Java hosts, you’re ready to deploy. Best of luck on your next build!